After playing with this bad boy, here are my thoughts. Although the packaging was lovely, the first thing I noticed was the lack of an Owner's Manual. For a complicated piece of equipment, this was surprising. There were four small pieces of paper, one showing how to turn it on, two showing the Gypsy cartridge images and one postcard to register your Gypsy. It would have been nice to have a sheet listed the web address to download the Owner's Manual. Maybe it'll be in the next batch... but since I went lookin' for it, I'll save you the time and link it up here. Once I got a hold of the user manual, I was pleased to find it easy to read and full of useful info. I'd suggest, if you're not a big time computer person, to go through the manual. It'll help a lot. 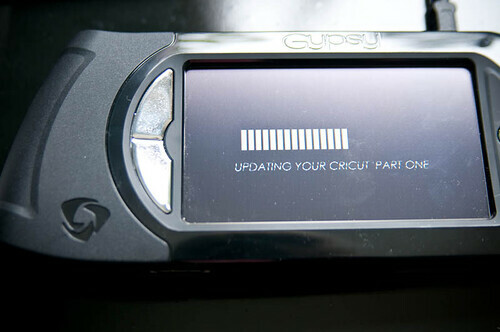 Before I could start designing, I had to register on the Gypsy site and download the updates. Once that was done, I linked up all the Cricut Cartridges I currently owned to the Gypsy. Now I was ready to start running around with the Gypsy, and that is one of the advantages for sure. I walked around my house, and watched my kids play in the snow all while I was trying to figure out what I should cut first. Now, I can't help but start with the size issue. It's not so much the screen size that's a probem... but the images on the screen, especially in the catalog. They are seriously tiny. You can hold the stylus over the images to zoom in a bit, but on a lot of images, particularly the words, it's still not big enough to see what it is. However, once you've loaded the images onto your canvas, you can zoom in much closer. Another option on the Gypsy that has its up and down side, is that you can preview every Cricut Cartridge known to man right on your machine. You can even design with them without owning them. However, you cannot cut them out unless you own and have linked that cartridge. So it's cool that you can see them, but it can be a little deceiving when you're scrolling through the cartridges. The screen that shows you the cartridge images will scroll through all of the cartridges as if they were available. However, if you click the cartridge name window with the stylus, it'll give you a list of the cartridge names, and the ones you own will be in bold letters. I can't say I'm super fond of this show-all method, but it does tempt me to buy cartridges I haven't seen before... so I'm sure Provo Craft is lovin' it! Now I have to say that my favorite feature of the Gypsy was the ability to easily place images to be cut on certain areas of my mat. 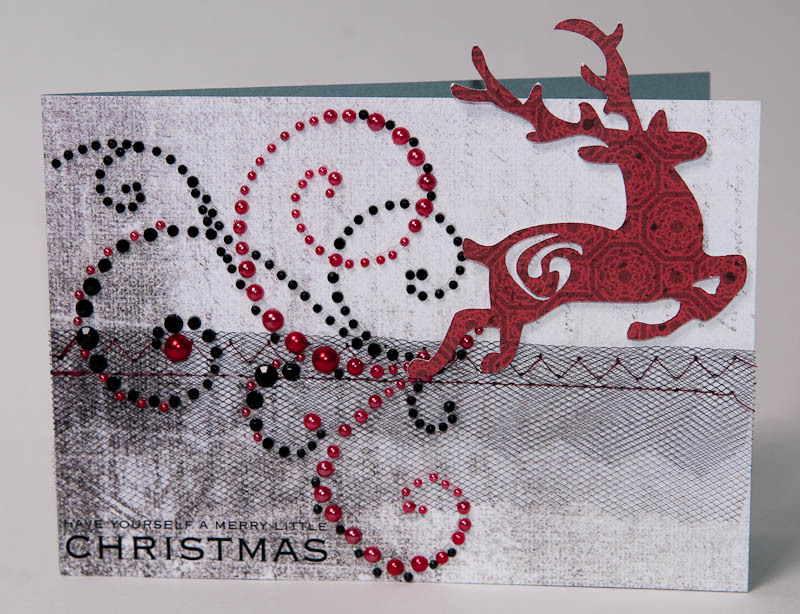 This made it easy to cut four different sheets of patterned paper on one cut. For a simple scrapper like me, this was a big time saver. As for the design tools, they were all I'd hoped for. I could resize, align, group, rotate, flip and weld images from all my cartridges right on one canvas. 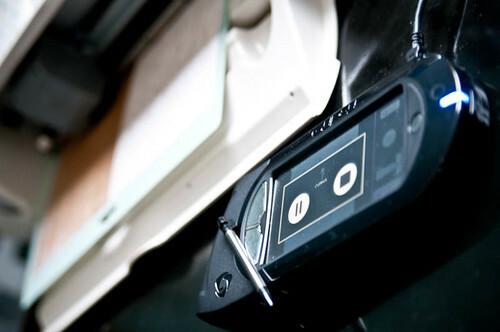 No plugging in and cutting images from only one cartridge at a time. Yahoo! This was another time and paper saving plus for the me. I did refer to the PDF Owner's Manual quite a few times while I was getting the hang of using the Gypsy. Having a printed manual would have been nice for the portability issue, but since I was just bumming around at home I managed. Once I figured out what each of the icons stood for, navigating the program wasn't difficult. It would be nice to have the tool name available when you hover over the icon, but again, the manual has all of that info. Oh, and if you happen to be a lefty scrapper, the Gypsy has a lefty setting just for you. Just thought I'd throw that in for the lefty creatives out there. When I was ready to cut for the first time, I plugged the Gypsy into my Cricut, I found there was yet one more update to preform. Updating my Cricut. Don't be surprised if your first day of Gypsy play includes a fair amount of upload and download time. But then came the cutting. It cut my four different pieces of patterned paper exactly where they appeared on my Gypsy screen. I love it when a plan comes together! (Child-of-the-80's A-team reference there.) Did I mention you can save your designs to cut again? Sort of handy, especially if you're making invitations, Christmas cards, etc. 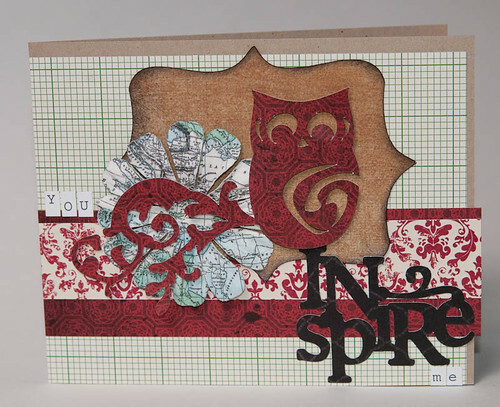 The owl and the flourish were "welded" together on the Gypsy, the "inspire" was a pre-made word art. 2. It lets me design, weld and cut with multiple cartridges at one time. 3. 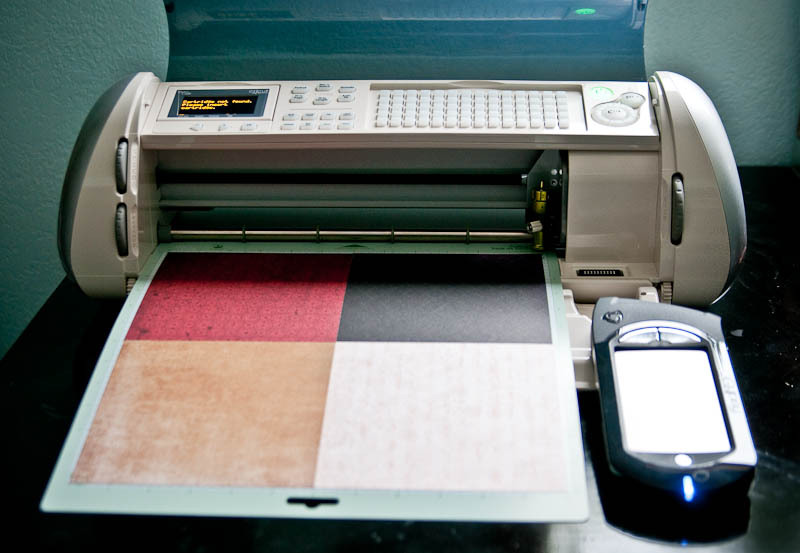 It saves time and paper by cutting exactly where it displays on the screen. 1. The lack of, or even a link to an Owner's Manual in the packaging really bothered me. I mean, for a $300 piece of equipment, you'd think that would have been standard. 2. The image sizes in the catalog are so teeny tiny even with my super contact-enhanced vision I couldn't make out what some of them were. 3. Some of the icons are not very intuitive, even being computer savvy I had to refer to the manual several times. Oh, and I'd love it if this baby was wireless. If you're a Cricut fan, and you travel (to crops and the like) this tool is for you! It'll save you lots of room in your bag that you can now fill with more paper to cut. If you're a homebody, Cricut-owning scrapper with only a few cartridges, I wouldn't splurge at this time. Has the Gypsy changed your life? Are you dieing to try it? Tell us your thoughts! I have this on my Christmas list. If I get it, thanks for the info on no included manual. YOu would think they would include one! Great review! I want the Gypsy so bad! But it's so pricey! I'll have to save for it. Thanks for the review. 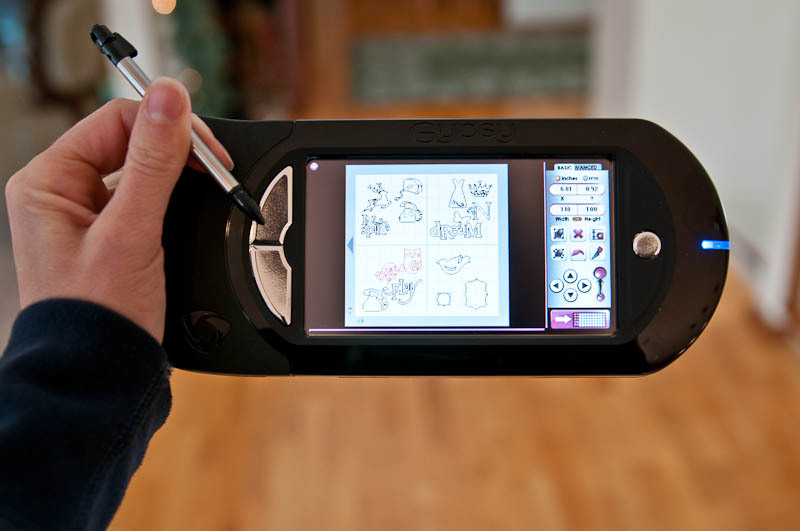 I would like to try this Gypsy--I think it would make me use my Cricut more.....great review and great projects:) TFS! I am thinking Provo Craft has a problem with including manuels with their products. I agree with you on that front...it would nice to have a manuel. great honest review. good stuff to ponder before purchasing one. and gorgeous projects noel!! Although I wasn't real impressed with this at first, it does seem like a handy tool to have if you go to crops alot, helps with the packing. but I would first rather have the cricut expression before I would invest in it, I only still have the original cricut and I think it would be better to get the expression first. I'm glad that you mentioned the lack of a manual...while you can print one out... would have like to have a nice glossy little book... that is my only issue... otherwise i LOVE it!! very nice review. Thank you! Great review! I have this on my wish list I still would love to have it but I do worry something better will come along. It always does with the Cricut. Hubby just purchased me one the other day .. awaiting it's arrival .. thanks so much ..I will definitely be using my Expression more ..
One thing I have heard that I did not see you mention is that you can only upload your cartridges to the gypsy once. I guess this is to eliminate people buying the gypsy and sharing cartridges. The one answer I have not been able to find is...What happens if you lose, break, or damage your gypsy....if you have purchase a new one or if it has to be replaced...if the cartridges are only allowed to be uploaded once....what do you do? I won the Cricut Gypsy from the Christmas with the Cricut blog, and I love playing with it. I do agree that it needed an owner's manual luckily I'm pretty techy savvy, so I figured things out pretty quickly. I will need to look up that manual though to figure out how to weld because I tried to do it the other day and it just didn't work. However I do love my Gypsy. I have used it a few times now, but for simple things like cutting plain old circles from the George and Basic Shapes I just used the cartridge plugged into my machine. It was easier that way for me. Thanks for the review and the info about the manual online! Thank you for the review. I do have a gypsy and still working with it. I did print out the whole user's manual---I also was surprised that one did not come with it. It is a really neat item. This looks like a very useful tool. I have been a cricut lover since the beginning. I don't currently own the gypsy since I dont' go to crops much and the price just doesn't justify it for me just yet. The minute the price drops more I'll be getting it. It's on my Christmas list too so manybe Santa will be good to me this Christmas and bring me one. Great review. I love my Gypsy! I have used my Cricut almost every day since I bought the Gypsy & I love being able to take it with me. You can see larger images of each button by pressing the zoom button then tapping on the image (it will be the size of the screen). To remove it just tap the image. The user manual is in the Gypsy (help screen). If you want more tips & help the messageboard at cricut.com is the place to go. thanks for the review! i have nothing except my paper trimmer, so this looks tempting! I read a lot of hype before it was released and I had decided I didn't need it. One sleepless night my BFF was watching HSN and she bought it. 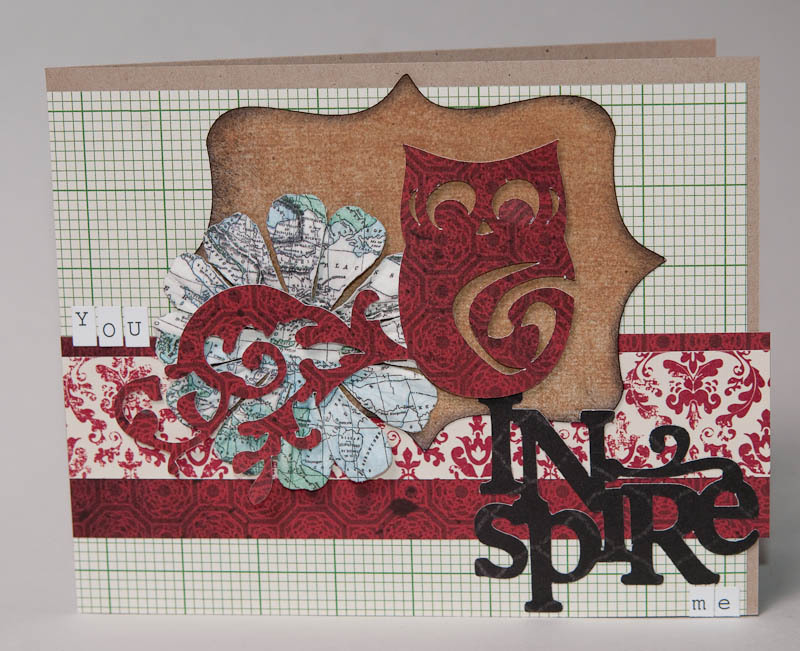 She is not super techy and kind of newbie to the papercrafting world. When it arrived she handed the box to me and said, "Take it home, learn how to use it then bring it back and teach me." Ten days later I ordered mine. I think Provo Craft should hire this woman!! I was sold as soon as I figured ut how to use. I agree the icons are small and lack of operator manual is a bit of a turn off. I am now hooked on my Gypsy. One thing I have heard that I did not see you mention is that you can only upload your cartridges to the gypsy once. I guess this is to eliminate people buying the gypsy and sharing cartridges. The one answer I have not been able to find is...What happens if you lose, break, or damage your gypsy....if you have purchase a new one or if it has to be replaced...if the cartridges are only allowed to be uploaded once....what do you do?" Yes, a cartridge can only be linked to one Gypsy. According to the folks at Provo Craft when I interviewed them at CHA, they said Provo Craft would work with the owners to get the cartridges you owned working. I did chat with their customer service department several times in the process of writing this article. I found them to be very helpful and easy to work with. That was a seriously excellent review. I appreciate it. I can't believe it didn't come with an instruction manual but good that there was one online. My friend has a gypsy and loves it. She was just playing with it today. Looks like a great tool. Thank you for the review - it was very helpful to understand exactly why someone would want/need to purchase the Gypsy. I just recently bought myself a Cricut for Christmas, which I haven't opened yet, so I'm sure once I get into using the Cricut itself, I'll feel a need to get a Gypsy (although I have to admit the price is a big daunting). I have been dying to try it. But i agree wiht you they haven;t been giving a lot of information on it. I feel this is a good review, very unbiased. I appreciate the honest feedback. I never considered this tool because I do not scrap outside of my home, but the design capability is intriguing, but then if the screen is so small, I'm better off with Design Studio. Thanks again! Great review, Noel. I think I will wait to go out and buy one, though. I barely have enough time to scrap, so I know I would not have enough time right now to figure that new piece of equipment out.